US Senator Jerry Moran’s county-by-county listening tour brings him to Independence. The Manhattan Republican says the town halls are a chance for him to hear from his constituents. Economic development and trade were among the key points discussed. Veteran’s issues, Amtrak expansion, and funding for public libraries were some of the topics those attending had on their minds. After his stop in Independence, Senator Moran was off to Neodesha for a similar town hall meeting for Wilson County. 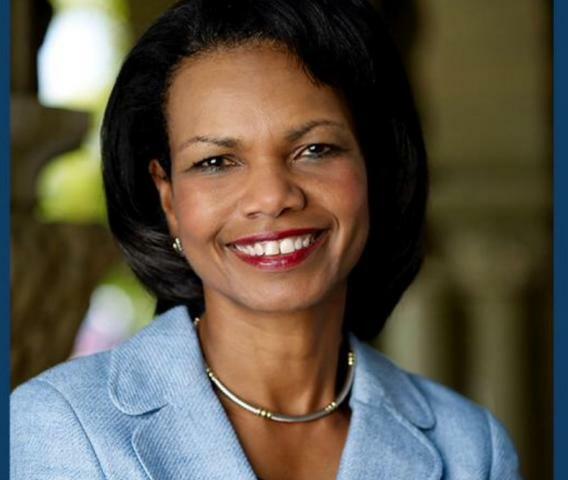 Pittsburg State University announces former U.S. Secretary of State Condoleezza Rice will be the next speaker in the H. Lee Scott Speaker Series: An Examination of American Life. The series, established in 2015, is designed to bring nationally prominent leaders and innovators to Pittsburg State. Tickets to hear Rice, who will speak on October 3rd will go on sale to the public at 8:30 am on May 6th. Rice served as Secretary of State from January 2005 to 2009, was the second woman and first African American woman to hold the post. She also served as President George W. Bush’s assistant to the President for National Security Affairs (national security advisor) from January 2001 to 2005, the first woman to hold the position. In her address, Rice will likely give an overview of the current geopolitical landscapes and share her experiences as National Security Advisor and Secretary of State. Tickets for the public are $25 for adults, and $15 for those 65 and older and 17 and younger. Patrons will be limited to six tickets per purchaser. You can get details about buying tickets here. Kansas has received its annual tobacco settlement payment totaling $55.9 million, Attorney General Derek Schmidt announced today. The $55,989,218.94 total, received yesterday, is consistent with the estimate that the attorney general provided last fall to the consensus revenue estimators. Since the first payment was made in 1999, Kansas has received more than $1.1 billion from the participating tobacco manufacturers. The settlement payments are intended to offset the costs of tobacco-related illness and disease that are borne by Kansas taxpayers through government-paid medical benefits. The payments are made each year in accordance to a legal settlement that resolved claims made by 46 states, including Kansas, against the tobacco companies in the late 1990s. 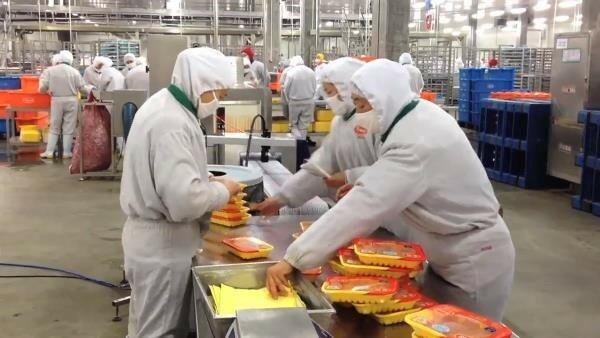 A decision on the Tyson plant in Coffeyville will not be made until at least the Fall. Montgomery County Action Council's Trisha Purdon says Tyson will announce their decision whether or not to select a site north of Coffeyville. While we wait to hear Tyson's announcement, the council is working with the City of Coffeyville on the site certification process. The facility would be in an industrial park north of the city, and they say it would provide several hundred jobs in southeast Kansas. The Southeast Kansas Produce Auction hosted by Nichols Trading Post of Parsons starts in about one hour at 1:00. It's located four miles north of Dennis, Kansas. The address is 7305 20th Rd, in the town of Galesburg. They will be selling Hanging Baskets, bedding plants, garden plants and much more. You can go online to their Facebook page for more info – Nichols Trading Post Discount Groceries Produce Auction. Mushroom courses coming to the S.E.K. K State research and extension offices are hosting a couple mushroom workshops later this month in Independence and Girard. Agent Jerri Geren explained when it’s all happening and the mushrooms you will get to go home with. The Independence course will be in the 4H building at the Riverside Park from 5:30 to 7:30 on April 29th, then the following day out at the Crawford County Fairgrounds again from 5:30 to 7:30. She mentioned you will come and learn the easy process of growing your own delicious Shiitake and Oyster Mushrooms, which you will get to take home your very own after the course. Geren says the course on the 29th takes place at the 4H building in Riverside Park,and on the 30th at the Crawford County Fairgrounds near Girard. To register or for more information you can call 620-331-2690 in Independence or 620-724-8233 for Girard. Geren mentioned they will provide a few drills but if possible to bring your own corded drill with a 5/16 drill bit as well as a 7/17 bit. Residents of Neodesha, you have one week to clean up your act. 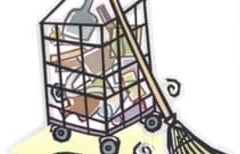 The Spring Citywide Cleanup will be April 22-27th. The City of Neodesha will set up roll off dumpsters and other equipment for residents to use. Items can be dropped off at the city barn, 12-hundred Granby. Items should be placed in the appropriate container. City crews will not pick up items curbside. Items of wood, metal, appliances, tires and household trash can be taken to the brush dump, 5429 Quinter. Anyone who has questions may call 620-325–2831. Students from Coffeyville Community College will play the roll of the Easter Bunny for you. Chamber of Commerce Director Candi Westbrook says this is part of a program called “The Easter Bunny Came”. Westbrook says it costs $20 and you can place your order on the website, a link to that website can be found on the online version of this story at kggfradio.com. Coffeyville Regional Medical Center honored their volunteers during Volunteer Appreciation Week. Those receiving service awards include Eileen Hough, 1 year; Shirley Conger, Carol Jean Kastler, Allan Osborn, and Janice Shue, 5 years; Wanda Purkey and Laura Robson, 10 years; Bob Armstrong, 15 years; and Beverly Hamlin, 40 years of service. 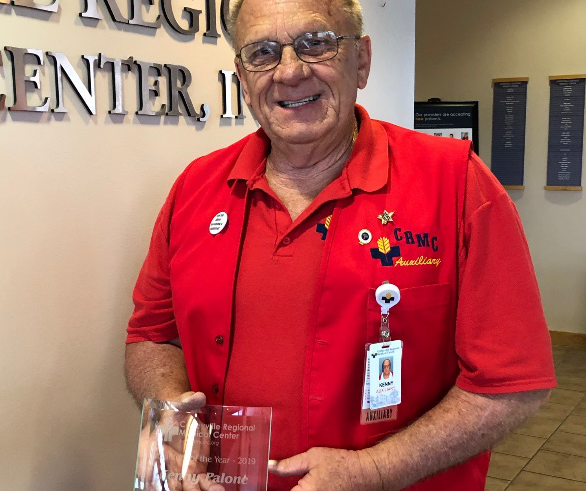 The 2019 CRMC Volunteer of the Year is Kenny Palone, who began volunteering at CRMC in 2016 after working for Union Pacific Railroad as an Engineer for 38 years. Palone says after his heart attack he felt so thankful for Dr. Gillis, Dr. Mehrle, and CRMC, they saved his life. He felt like he really needed to do something to show his appreciation and maybe help someone else. Last night's severe weather left behind wind damage in Washington County. Emergency Management Director Kary Cox says that they have been getting calls about the damage since the storm blew through. Quarter sized hail was reported during the storm, but Cox says no hail damage has been reported. He says currently there is no estimated cost of damage. 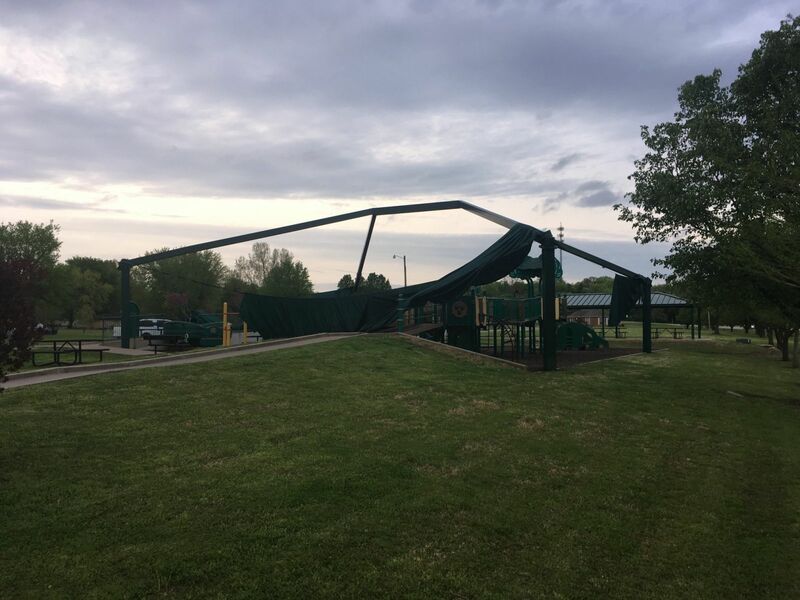 The Civitan Park shadow cover in Bartlesville was damaged beyond repair and Public Works Director Keith Henry says the city has no details on how that will be fixed at this time. 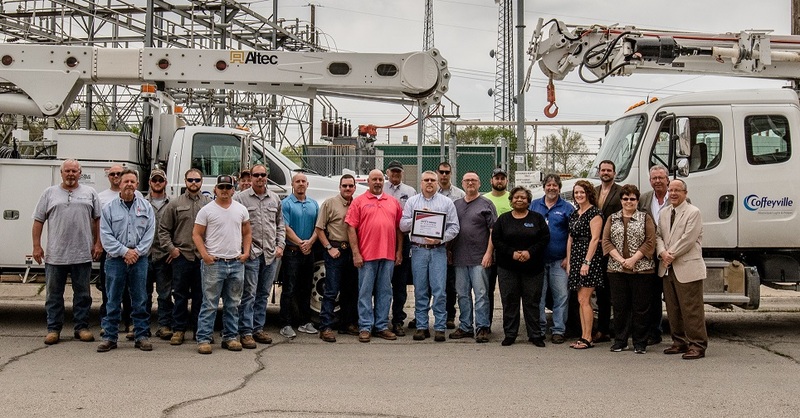 Coffeyville Municipal Light & Power has earned the American Public Power Association’s Safety Award of Excellence for safe operating practices in 2018. The utility earned First Place in the category for utilities with 60,000 to 110,000 worker-hours of annual worker exposure. More than 325 utilities entered the annual Safety Awards, which is the highest number of entrants in the history of the program. Entrants were placed in categories and ranked based on the most incident-free records during 2018. Coffeyville Director of Electric Utilities Mike Shook says CMLP is proud of its safety record, this award is a testament to the hard work that goes into ensuring that our team members go home safe to their families every day. The Coffeyville Regional Medical Center Auxiliary was the host for the Hospital Auxiliaries of Kansas District 2 Meeting on Wednesday, April 4th. 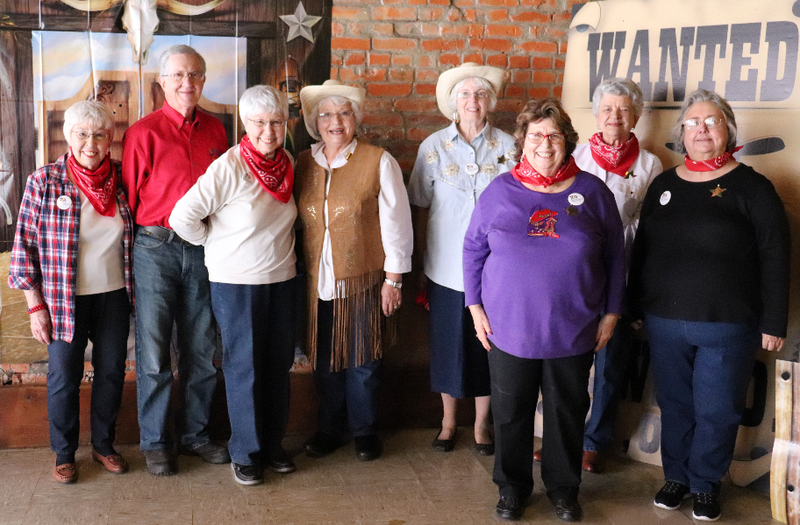 Over 100 visitors enjoyed the day in Downtown Coffeyville, representing hospital auxiliaries from Fredonia, Pittsburg, Parsons, Columbus, El Dorado, Eureka, Garnett, Girard, Neodesha, and Winfield. The Hospital Auxiliaries of Kansas State President, Linda Staiger, from Liberal was also in attendance. The CRMC Auxiliary welcomes anyone interested in joining to complete a volunteer application. Applications are available at the Auxiliary Desk at the CRMC Main Entrance, the Gift Shop, or in the Foundation Office. For more information, please Contact Director of Foundation and Volunteer Services Cari Redden at 620-252-1674. Did you Forget Maundy Thursday? 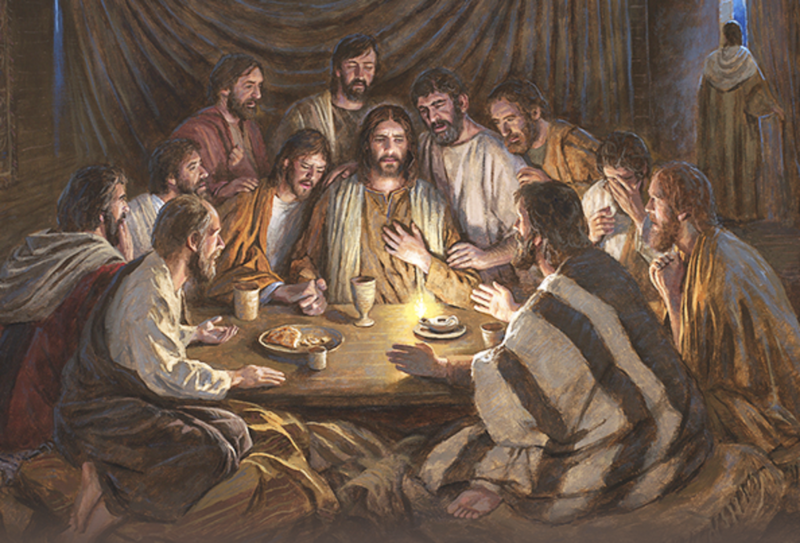 Have you heard of "Maundy" Thursday? Good Friday, we know. And Easter Sunday, of course. But what about the Thursday before Easter? It marks an important part of Holy Week, the day Jesus celebrated his final Passover with His disciples. At that Passover meal, Jesus washed the feet of His disciples, an extraordinary display of humility, and then Jesus commanded them to do the same for each other. Washing others' feet comes from traditions in biblical times when guests' feet were washed when entering a home because their feet were dirty from walking the sandy roads to their destinations. .
Maundy means “command”. In John Chapter 13, Verse 34, Jesus said to them, “A new commandment I give to you, that you love one another. Just as I have loved you, you also are to love one another.” This raised the definition of love to a new, highter standard - to love your enemies and share love to those who appear to not deserve it. Washing another's feet was a tradition of the times, but it's a great example of showing selfless love like Jesus when we serve one another as He commanded. A Kansas woman will soon be on The Ellen DeGeneres Show for buying 204 pairs of shoes and donating them to Nebraska flood victims in early April. Addy Tritt will be on the show Monday, April 22. A show spokeswoman said that while Addy generously gives back to her community, she's actually in debt with student loans and her family helps buy her groceries. Addy said so many have helped her in the past and this is her way of paying it forward. 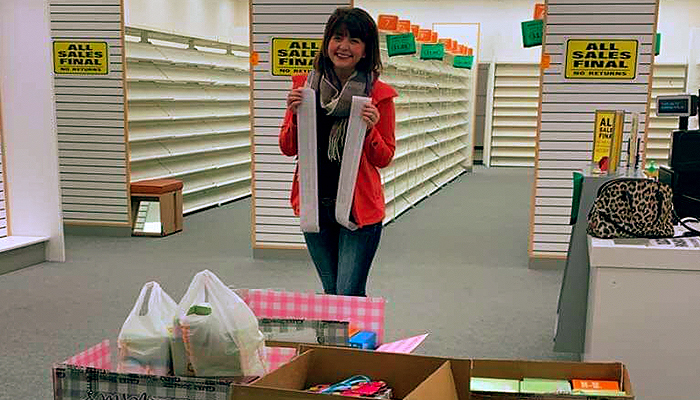 She could not resist when the price of shoes at Payless in Hays dropped to $1 per pair, so she negotiated to buy all the remaining shoes for $100, but the retail value was more than $6,000. Maybe Ellen will help Addy pay off those student loans. She's a graduate of Fort Hays University. The Ellen DeGeneres Show airs Mon thru Fri, 4:00pm on CBS. Last weekend, the Kansas Association of Mayors held their annual meeting. Overbrook Mayor Jon Brady was named the 2019 Mayor of the Year, selected for his dedication to his community. 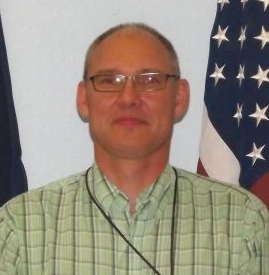 Also, KMA's President for 2019-20 is the City of Lansing Mayor Mike Smith. If you'd like to know more about KMA, to online to their website here or call 785-354-9565. 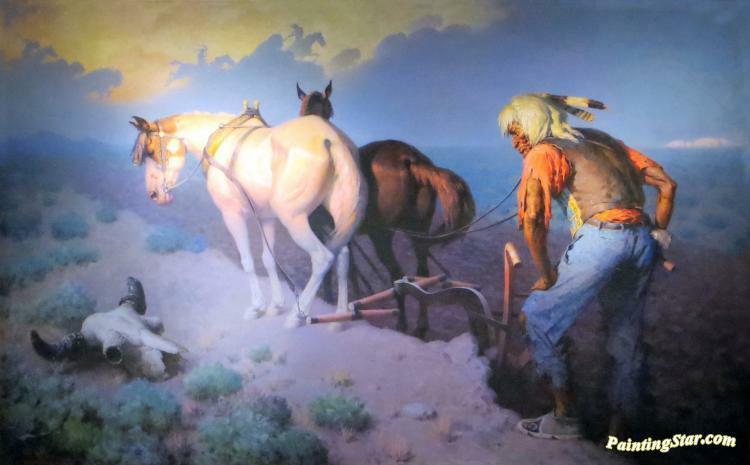 The Woolaroc Museum and Wildlife Preserve's next big event is May 18th, the Spring Trail Ride. Shane Lenihan from Woolaroc says its a unique experience not many have and describes it. Click here to hear Shane on KGGF talk about it. Yep, lunch and dinner are included. You'll have to take your own horse for the trail ride though, and tickets are $50 per person. Shane tells us something else unique about the food at Woolaroc. Listen to him here. The trail ride is Saturday, May 18th starting at 10:00 in the morning and it ends about 5:00. Riders can even camp out the Friday night before. You are encouraged to experience the beauty of the rolling Osage Hills, and will likely see buffalo, elk, deer, and longhorn cattle along the trails of this spectacular country retreat of oilman Frank Phillips. For more info, call 918-336-0307 x10. 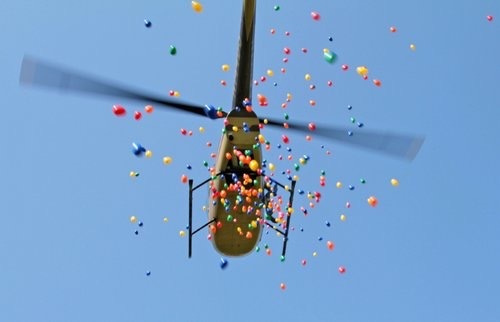 A helicopter will drop 77,777 Easter eggs at Sooner Park in Bartlesville this Saturday the 20th, sponsored by Spirit Church. It's a FREE egg hunt for ages zero thru 5th grade. Eggs will have a treat in them and some eggs will have a special prize. All activities are free including inflatable jumpy houses, face painting, and take your camera to take free photos with the Easter Bunny. The event is from 9:30am to 1pm. Concessions are open until 2pm, and there will also be food trucks. All children must be registered and issued an arm band. Online registration is closed but you may register onsite at Sooner Park, SE Madison Blvd. 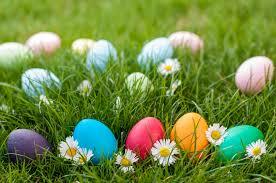 Easter egg bags will be provided, but kids may take their own baskets, and you may take your own lawn chair. For more info, contact Spirit Church: 918-336-1131. A Coffeyville Police Officer K9 Unit was involved in an accident with a Caney Valley School bus. According to Kansas Highway Patrol Trooper Rick Wingate the CPD officer hit the bus on Highway 166 between Caney and Tyro and the officer has been taken to the hospital. The highway is closed and the crash is under investigation. USD 436 Superintendent Blake Vargas says it was their Bus 1 involved in the crash, all kids are safe and accounted for and no major injuries at this time. 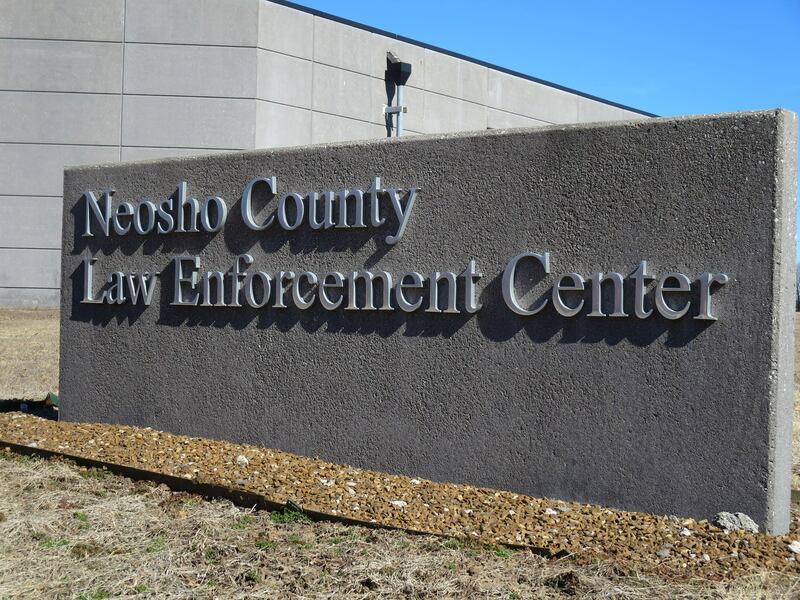 The Neosho County Sheriff's Office is investigating burglaries that took place between April 11th and April 16th in Thayer, St. Paul and Erie. If anyone has any information regarding these crimes, please call 620-244-3888. With the nicer weather, burglaries and thefts tend to rise. Remember to keep your property locked and report any suspicious activity. It is helpfull to get tag numbers or use your cell phone to get a photo of suspicous vehicles or individuals, if it can be done safely. 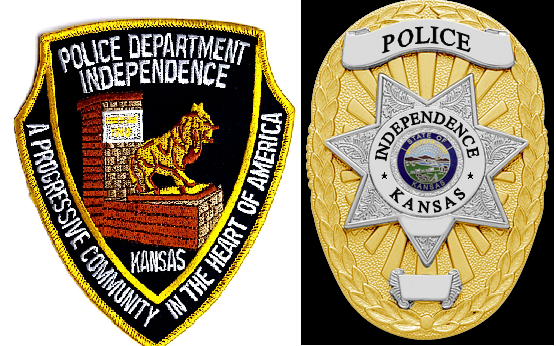 April 19th through April 20th, the Independence Police Department will join other Law Enforcement agencies in Kansas, Iowa, Nebraska, Arkansas, Missouri and Oklahoma to stop what has been an increasing epidemic for the past several years. Deaths and injuries continue to increase from both alcohol and drugged impaired drivers. In an effort to change this trend, law enforcement across the six-state area will be extra-vigilant when patrolling around city, state and federal highways. Regardless whether a drug is legal or illegal it’s a serious crime to drive while impaired by any drug. Officers will issue citations to any individual who refuses to obey the traffic laws, whether it is for driving while impaired, for speeding, texting, or failing to buckle up. Chief Harrison says even one death is unacceptable. Please don’t drive while impaired, slow down, put the phone away or turn it off, and always buckle up. No more vaping in Oklahoma public schools. On Monday, April 15th Governor Kevin Stitt signed into law Senate Bill 33, otherwise known as the Tobacco-Free Schools Act. After conducting a study last fall, Owasso’s Senator J.J. Dossett filed legislation to ban all tobacco products, including vaping. It includes noncombustible devices as well as the cartridges even if they do not contain nicotine. Studies show kids get addicted to nicotine which can harm their still-developing brains, such as decision making and impulse control. Senator Dossett says it's not just nicotine that's the problem because the aerosol in e-cigarettes contain other “alarming” chemicals such as Diacetyl used in the flavoring that's linked to an irreversible and serious lung condition called “obliterative bronchiolitis”. Findings published in an American Heart Association journal suggests that e-cigarette flavorings may damage blood vessels and the heart and found pyrazine additives in ecigarettes. Heavy metals including nickel, chromium, cadium, tin, aluminum, and lead have been found and can cause cancers of the lung, sinuses, and mouth. 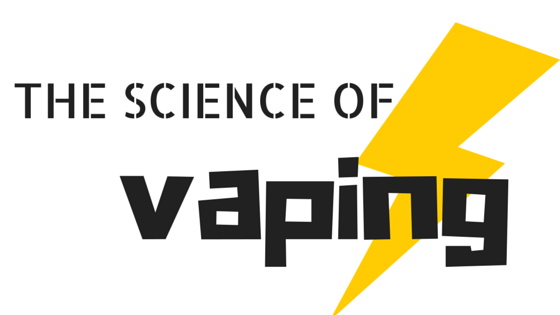 Studies are also looking at how secondhand vapors effect people. “The evidence of a pronounced health benefit from oral tobacco is very strong and can no longer be ignored. The consumption of nicotine through snus in Sweden has greatly reduced smoking, and that in turn has caused a significant reduction in the cancer, cardiovascular disease and lung damage caused by smoking. It makes no sense scientifically or ethically to deny access to this much less dangerous alternative to cigarettes to smokers elsewhere in Europe. Some say its just bad vaping science, and perhaps a way to help the dinosaurs of the smoking industry. What do you think? Comment below! Two southeast Kansas law enforcement agencies are teaming up to form the area's newest drug task force aimed at fighting illegal narcotics. 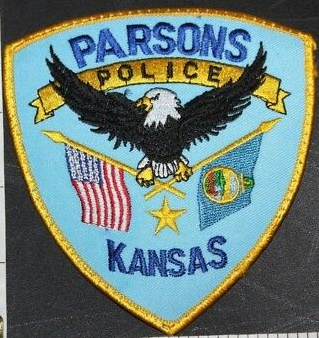 Monday night, the Parsons city commission approved its formation including staff from the Parsons Police Department and the Labette County Sheriff's Office. 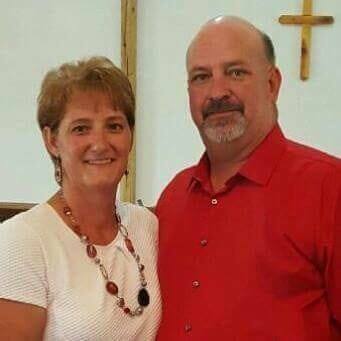 Parsons police chief Robert Spinks says the team will be made up of a commander and detective from the Parsons Police Department, along with a detective from the Labette County Sheriff's Office. He plans to hire a commander and has already talked with more than two dozen potential applicants. If interested in the position, call 620-421-7060. Get your Easter Baskets! Independence Chamber of Commerce director Lisa Wilson mentioned that many businesses and services will be closed down in observance of Good Friday this week, and that very next morning will be the community Easter Egg Hunt! Lisa Wilson explained ages 1-9 will be hunting and mentioned different age groups will go at different times as well as difficulties, to avoid one big rush. The event will take place this Saturday April 20th at 3PM out at the Riverside Park Oval. Wilson encourages parents to remember their cameras on that afternoon as she mentioned the Easter Bunny will be in attendance to take pictures with. Coffeyville's special counsel needed for the Coffeyville's Reawakening project. City Commissioners and leaders are holding a special meeting at the regular commission room this Wednesday at 5:30pm. They are planning to execute a special counsel engagement letter with Gilmore & Bell for the rehabilitation of commercial properties in Coffeyville's downtown area. Everyone is welcome to attend at Coffeyville's City Hall. 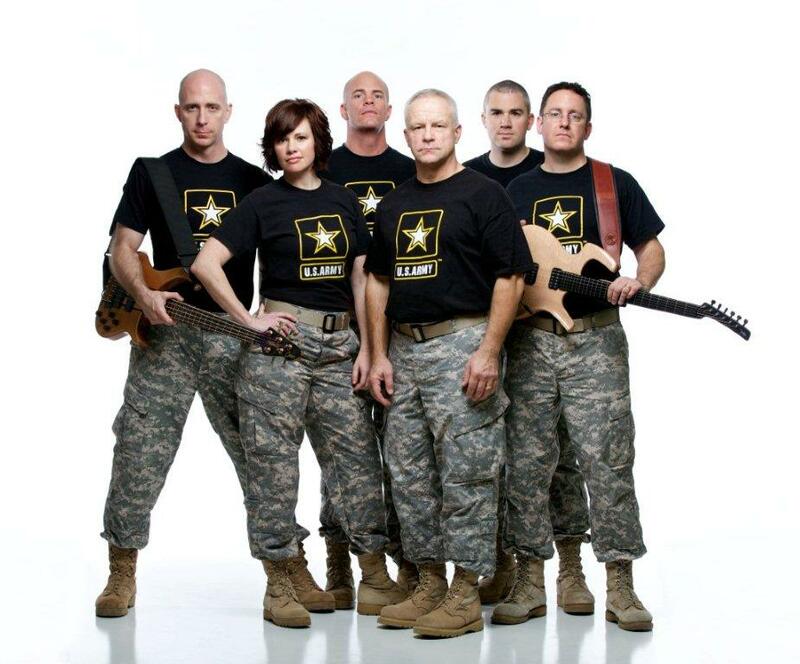 The U.S. Army Rock Band will perform a free concert Thursday, April 18, from noon to 2:00 at Pittsburg State University in the Bicknell Family Center for the Arts, 1711 S. Homer. The concert is open to the public.